The pre-trip is detailed and must be completed without aids. 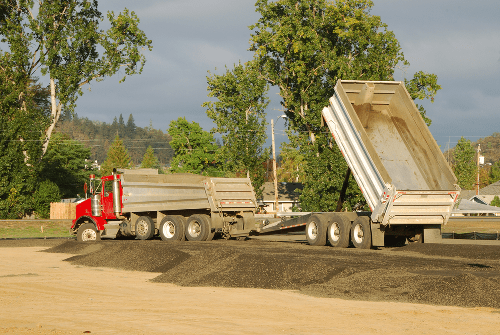 Learn the basics of the pre-trip inspection here! The pre-trip inspection for the purposes of a road test. The first thing I want to say about a pre trip for the purposes of a road test: you are not determining if the vehicle is safe! Let me repeat that: you are not determining if the vehicle is safe. What you are doing is demonstrating a competency, and what I am going to explain to you is the fundamentals of the pre trip for the purposes of a road test. This is a class one vehicle and the first thing that we tell students is the sequence because you cannot have any paperwork with you for the pre trip inspection for the purposes of a road test. and for class 4— class E in Ontario and other places— small buses and ambulances they allow twenty minutes for a pre-trip inspection. So you need to have it down. The first thing we tell students is sequence: so underneath the hood here, for example, what you do is you start at the top, at the back and it's a zigzag pattern - go across, drop down six to eight inches, come back across the motor, 6 to eight inches, all the way down the wheel, the inside of the tire, over the top of the tire, and down and out to be outside of the tire. So that is the way that you remember: top to bottom, side to side, is your sequence for the purposes of a road test. For example this section of the truck at the passenger's door: you start at the top, there's no damage to the top of the cab, the mirror is not cracked or broken, it's secure on the truck, not cracked or broken, glass is not chipped cracked or broken. The MVI decal is valid until September 2016 - the end of the month. The door opens and closes, the light is working, hood is latched, step is secure - give it a kick with your foot. And we checked the fuel cap on the last section down there. Nothing hanging down on the fairing - it's not broken. So when you do a section of the truck break it down in the section start the top, work to the bottom. That way you're not going to forget anything. When you get finished the section take a breath—pause—just have a quick look make sure you didn't forget anything and then move on to the next section right here. Now the other thing that we tell students to do for the components of the vehicle because the purpose of the pre trip is to demonstrate a competency, to demonstrate to the examiner that you know the names of the major components of the vehicle - you know whether they're potentially damaged and what could be wrong with them. For example, glass could be chipped, cracked, or broken and you know that. What potentially could be wrong with it and you know that the component is working. So you have lights - the lights are working. Now it's a visual inspection or you're grabbing something giving it a shake to make sure it's secure. Now what we tell students is to say: "secure, not damaged, not leaking." "Secure, Not Damaged, Not Leaking"
If you have a brain cramp during your examination and you forget what something is, just lightly touch, point to the component: "secure, not damage, not leaking." They're not going to ding you or give you demerit points because you don't remember the name of something, but you did check it. Now the reason we say "not damaged... secure, not damaged," secure on the vehicle. It's not damaged - a rock didn't fly up and put a big ding in the side or something smacked into it and hit it. Not leaking - 75% percent - approximately 75% of the components on the vehicle are either have fluid or air in them. That's why we say "secure, not damaged, not leaking." Now the purposes of the pre-trip inspection - most of it is a visual inspection. 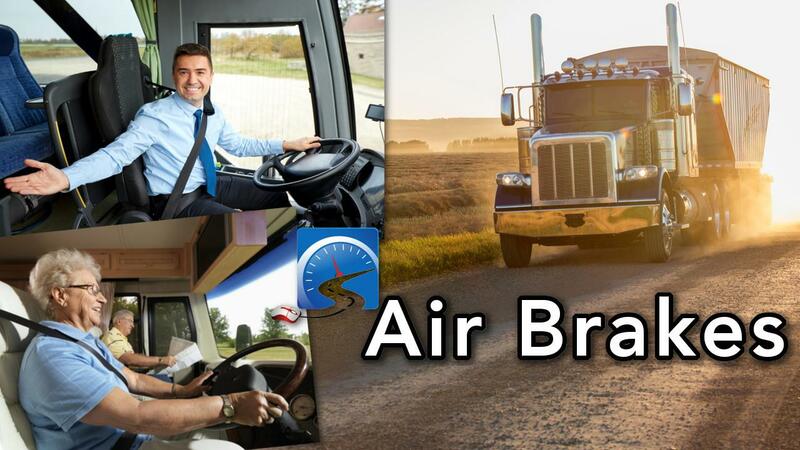 The air brake pre trip inspection which is required for commercial vehicles equipped with air brakes is probably the most difficult and has to be the most specific for students. It has to be spot on, the rest of it can be kind of a little bit loosey-goosey, but the air brake pre-trip inspection has to be spot-on! And the difficulty with the pre-trip inspection is is that its memorization. 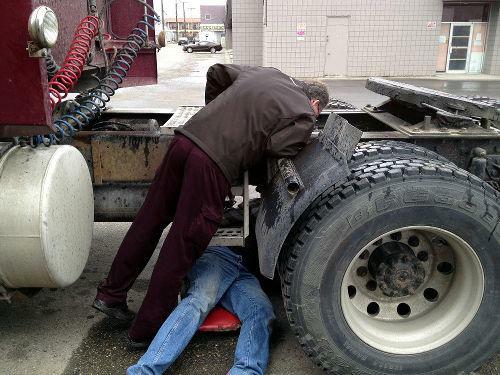 You have to memorize the air brake pre-trip inspection. You are looking for a symptom and because you got that symptom the component in the air brake system is either working or not working. For example, maximum pressure of the air brake system: "I hear, I see" I hear the air dryer purge, I see that the needles have stopped climbing between 105 psi and 135 psi in British Columbia – that’s the air pressure. In Ontario, it's between 80 psi and 135 psi. So the needles have stopped climbing between 80 and 135 psi because the system's full, the needles are no longer going up. Therefore, I know that the governor has put the compressor into the unload phase. 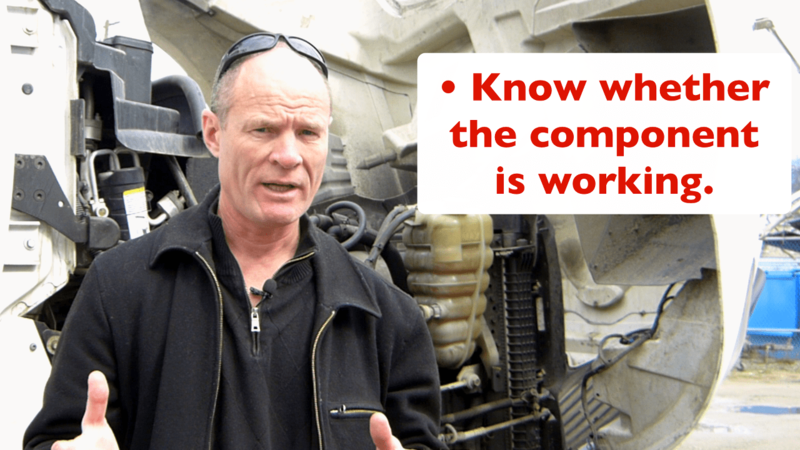 You're looking for a symptom and because of that symptom a component of the air brake system is working. That is why it's difficult for students more difficult than it is to do the rest of the pre-trip inspection. So if you're struggling a little bit with your pre trip inspection for the purposes of your road test, practice the air brake portion of it. The in-cab, because that is the most difficult because it straight memorization. The other thing that I tell students when they do they're pre-trip inspection: you're going to do the sequence - top to bottom - side to side. After you finish the sequence, take a breath, just quick check -make sure you got everything, take a breath and then carry on to the next piece. That way you're less likely to forget stuff because if you get hurried and you get moving through it you're going to forget pieces of the pre-trip inspection for the purposes of road test. Because for the road test the road test you're gonna be nervous, the adrenaline's flowing, so slow yourself down take a moment. In conclusion, the pre-trip inspection for the purposes of a road test: you are not checking the vehicle to ensure its safe; you are demonstrating a competency to the examiners and to the authorities who are testing you to get your license. You're demonstrating that you know the names of the major components of the vehicle, you know whether they're working, they're not damaged, and it is a visual inspection. Section it up sequence - stick to your sequence so that you know the whole pre-trip inspection. The air brake component is the most difficult because you have to memorize numbers. You're looking for a symptom and because you got that symptom the component is working. The rest of the outside of the truck is a visual inspection. It's fairly straight forward as long as you stick to your sequence.